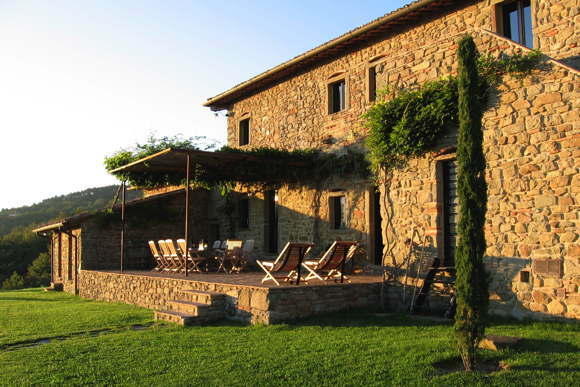 This recently rebuilt farm house on a mountain side has two stories joined by an inside and outside staircase. 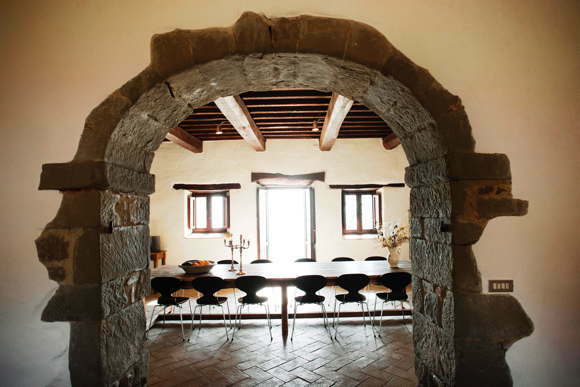 When reconstructed, the original brickwork and exposed beams, arches and hand-made terracotta floor tiles were used from the old ruin. 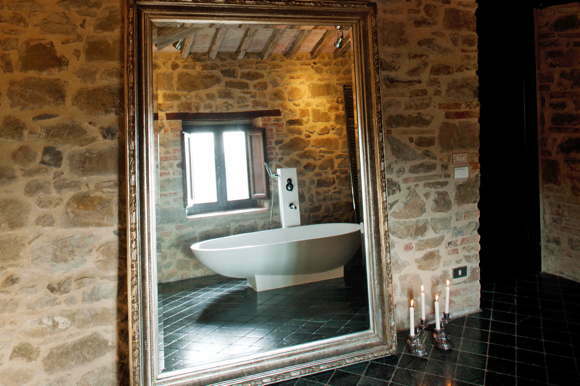 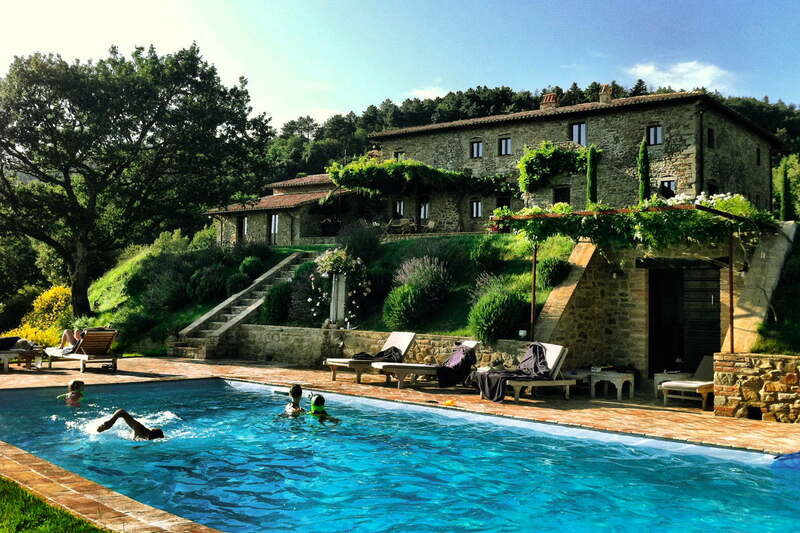 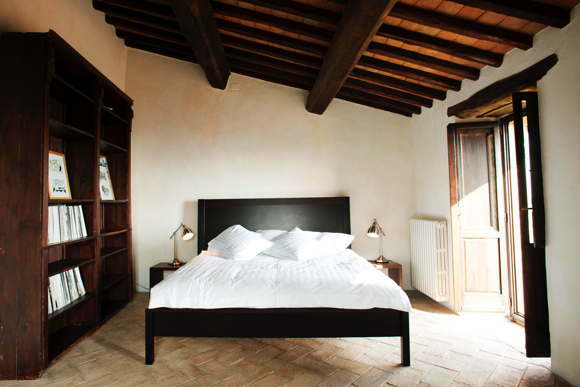 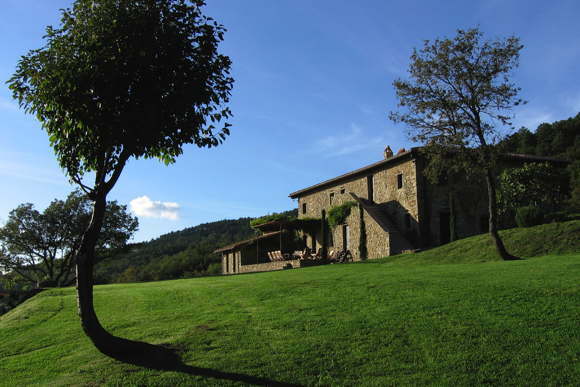 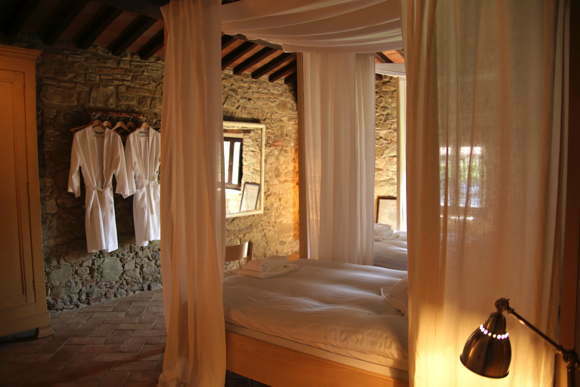 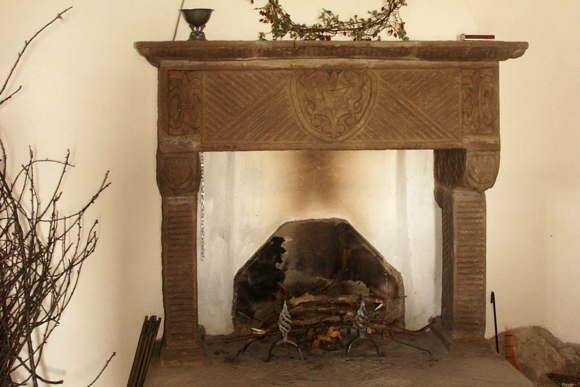 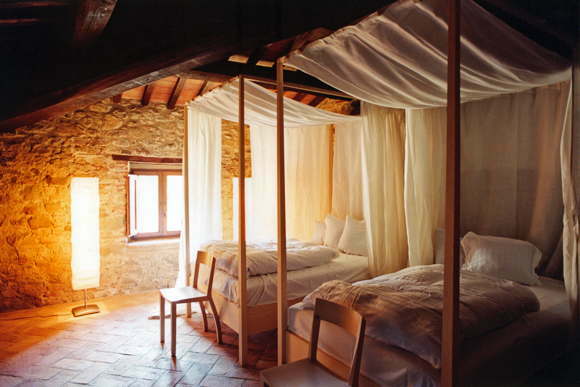 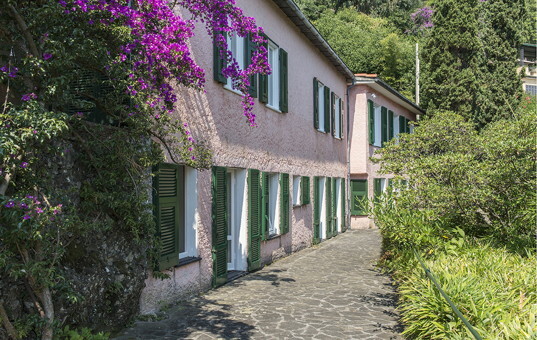 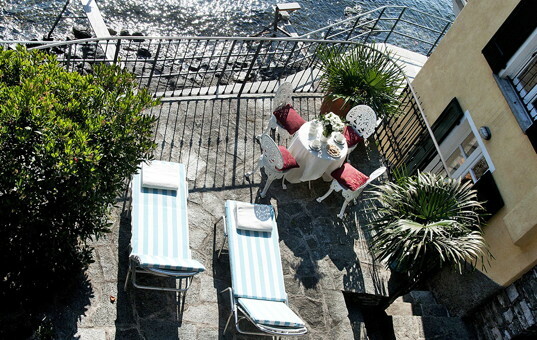 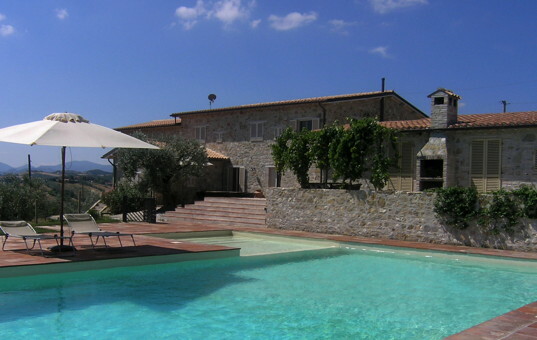 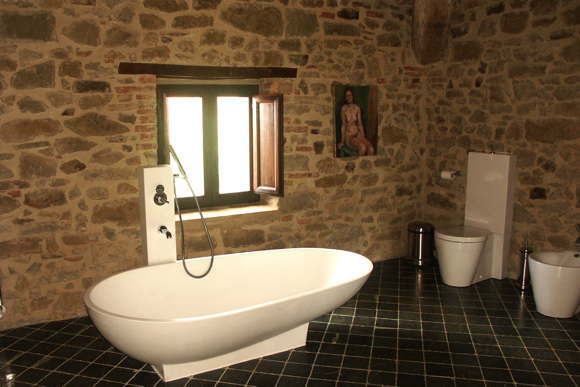 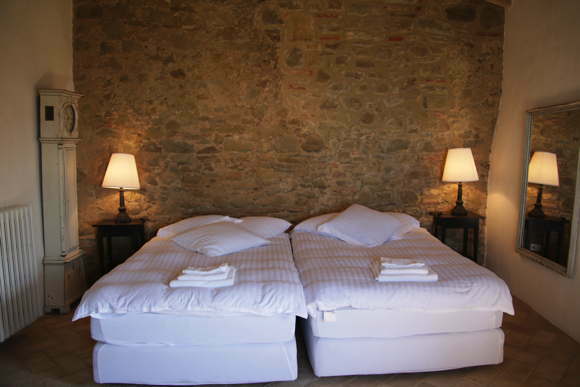 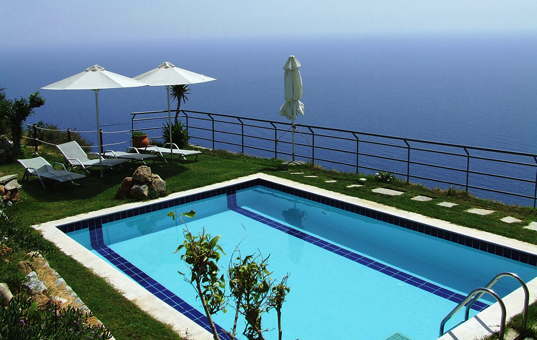 Thus, Casa Bramasole has become a one-of-a-kind holiday home with it´s special charme and character. 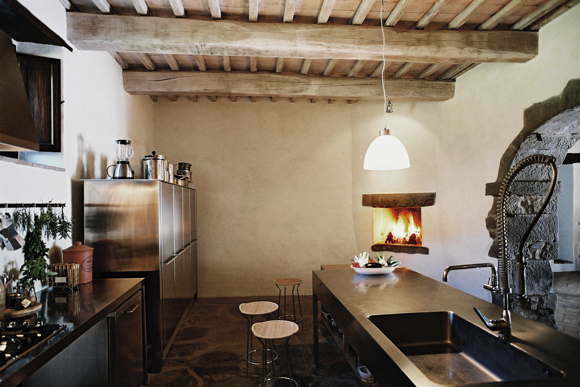 The house will accommodate eight people in rustic Italian authenticity combined with the owner´s addiction to Scandinavian and Italian design classics. 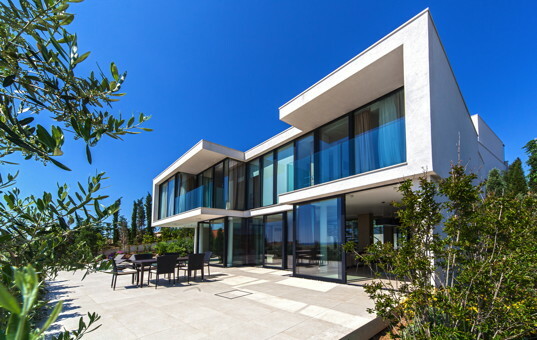 Inventive conveniences such as heated bathroom floors, automatic outdoor lighting, a stainless Boffi kitchen, three Phillippe Starck-equipped bathrooms and master-bedrooms with fourposter beds are provided. 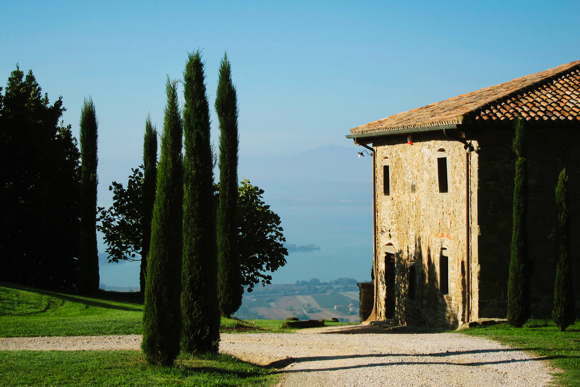 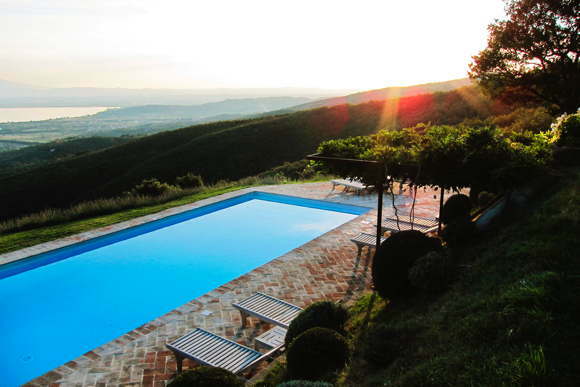 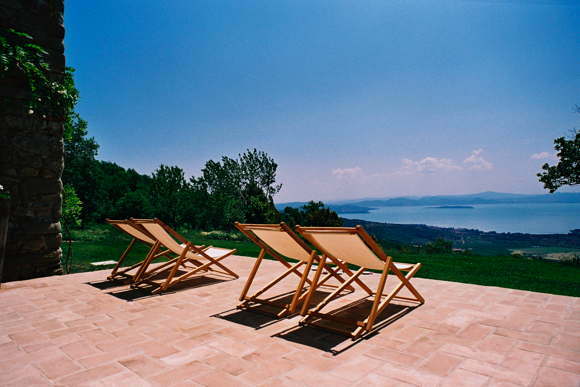 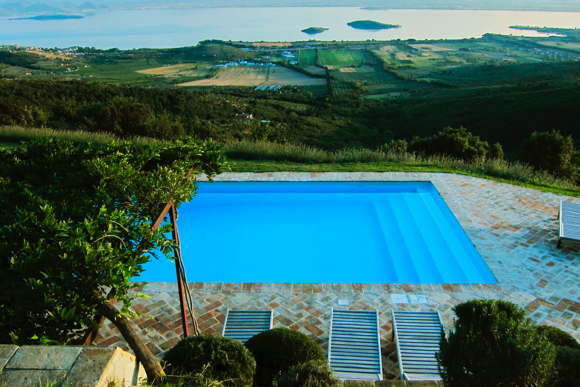 Reminiscent of an Italian manor house, Casa Bramasole´s tall stone facades rise to a spectacular view of Lago Trasimeno and the surrounding forest reservations. 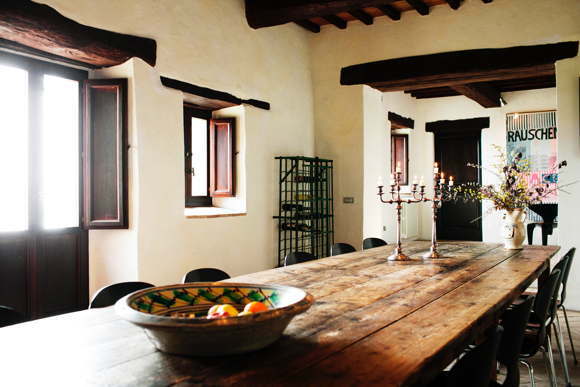 Local craftsmen have complied with strict regulations to preserve the original character, including the massive outside staircase to the first floor. 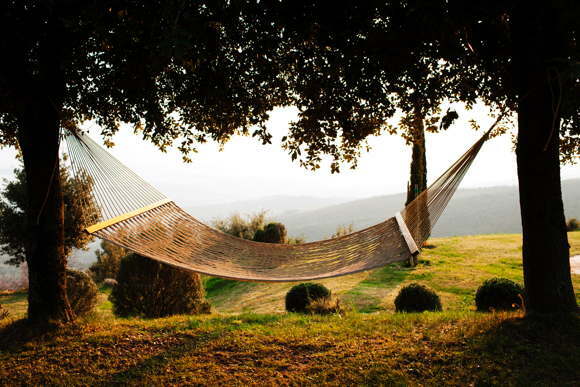 Catching the moods in the mornings and the evenings, a symphony of colours, ranging from various reds at sunrise to the „Blue Hour” in the afternoon reaching the warm reds and yellows at sundown will not only attract your eyes but will touch your soul, and one might wish that your holiday would last forever. 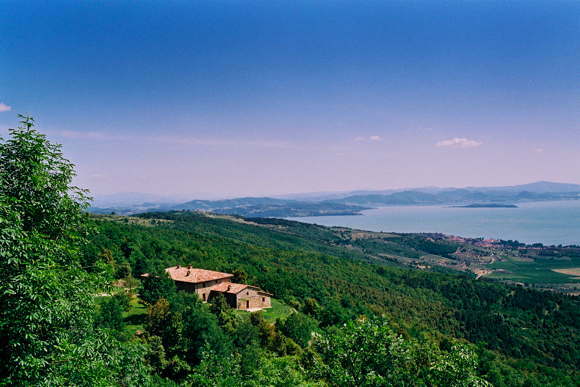 The closest restaurant is "Lo Scoiattolo" in a distance of approximately 2 km, where one can also purchase pasta, wine and truffles. 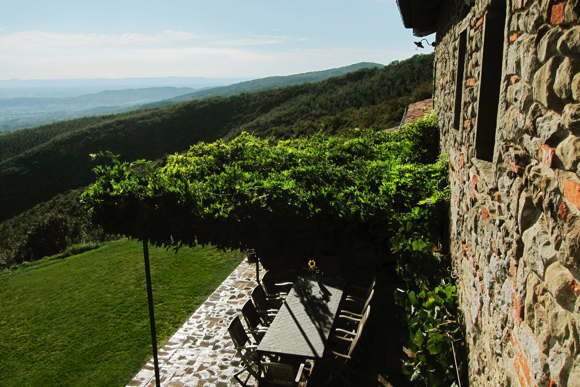 The small towns in the surroundings, like Tuoro and Cortona, offer more shops, restaurants and farmer's markets.